Know more about Africa the continent of beauty, adventures, colors, great food, culture, people, and most importantly, the unique animal life. AfricanoDay is a web app that tells you more about Africa, plan your trip, and get travel guide insights directly from any device. Based on African characteristics, its personality and identity a web app that introduces Africa at its best. Beyond the digital narration of the classic tale of Africa, the challenge was focused on staying true to the story of the African culture, in the context of a rich and immersive interactive experience. Building on the power and capabilities of the web technology and mobile devices. We worked with the most inspiring African cultures to make sure that we created a full cultural guide. The idea was to create a sense of adventure for the users and anyone who interacts with the brand. And It wasn't easy we had to to do a thorough research to discover what can be done. Our designers had the idea to give Africa an amusing, party animal personality, to express more cultured atmosphere for the potential users. 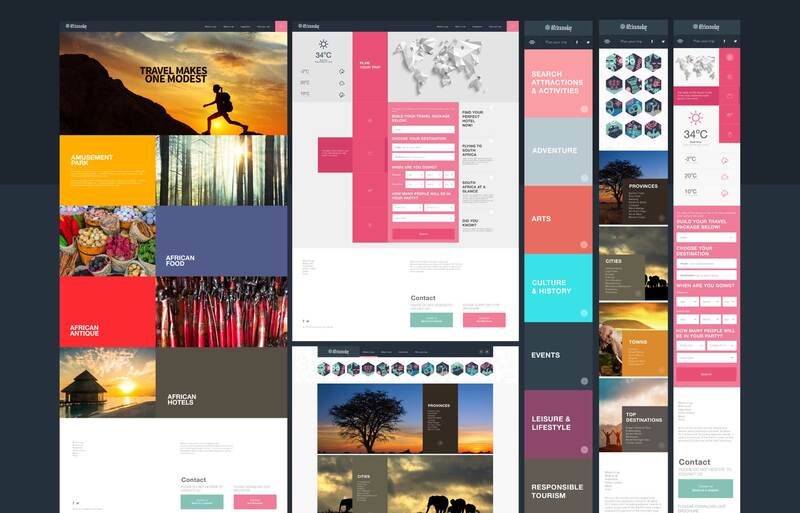 Representing activities, places and culture for users in exciting and engaging illustrations. In order to contextualize the complex mindset and the power of the people and the life experience of Africa. 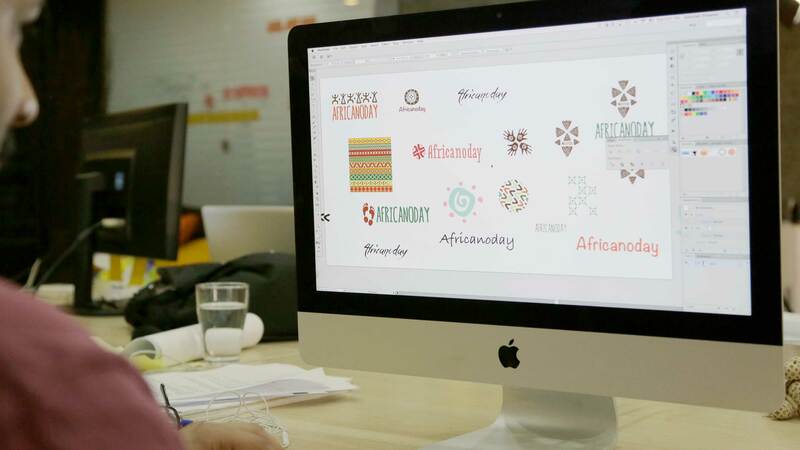 Adding colors, the brand spirit, and the beautiful unique activities of Africa. All brilliant ideas start on paper, and this was no exception! Building the initial big idea from the land of adventure Africa, and freed from the constraints of digital tools, we took a deep dive into what’s possible before going back to the digital action plan. While working on paper we did the necessary audits and exclusion of the unnecessary elements. Creating an effective website navigation system is a crucial part of ensuring usability, and the success of any website or web app. 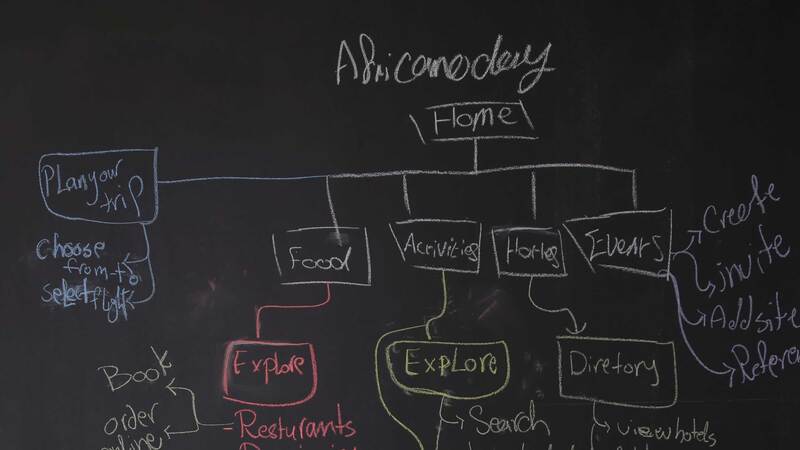 In Africano day web app, we managed to build a good, easy to use navigation and most importantly it helps our visitors find the content they’re looking for quickly, without a frustration or fuss. Plan your trip from the get go, with Africano day trip planner. With the simple dynamic process to assess user to create their custom trips in Africa. Accessibility was the stress point for us, we tested it with real users to make sure it's all done right and helps the users. 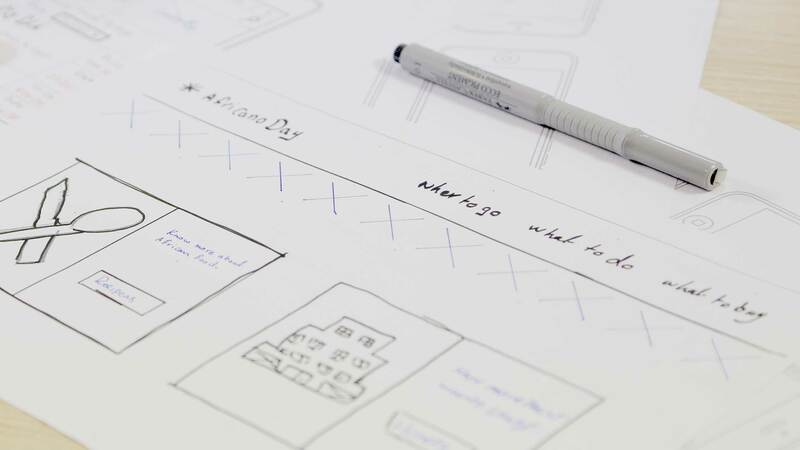 Knowing that design is a problem-solving discipline; we started translating the ideas, research, rough sketches, and wireframe into an inherently, intuitive User Interface that helps solve the core challenges of the users, rather than the aim of aesthetics. We also designed icons and illustrations based on tribal culture to add a more relevant interface for a more vivid experience.